2x Audi 50 (1974-1978) personalized classic car stickers. 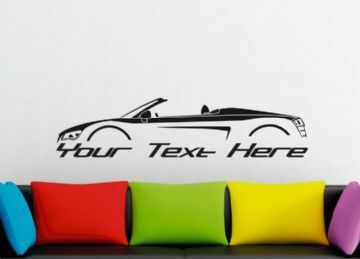 2x Audi 80 / 90 convertible personalized car stickers. 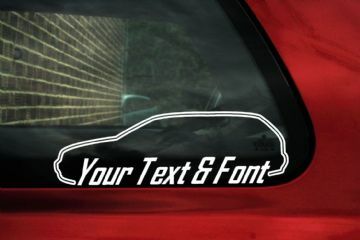 2x Audi 80 Avant (B3 1986-1991) personalized car stickers. 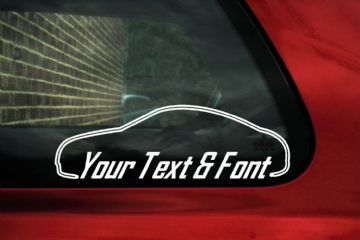 2x Audi 80 sedan (B3 1986-1991) personalized car stickers. 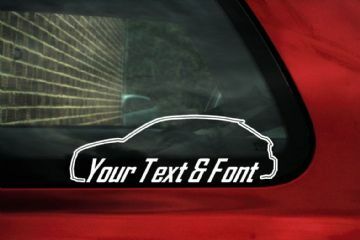 2x Audi 80,S2 Coupe personalized car stickers. 2x Audi A1 hatchback 3-door personalized car stickers. 2x Audi A3 / S3 (1996-2003) personalized car stickers. 2x Audi A4 (B5) AVANT RS4 Station Wagon personalized car stickers. 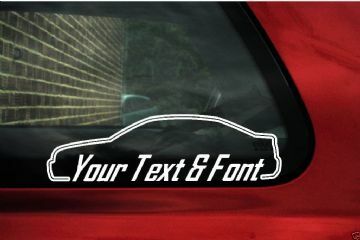 2x Audi A4 (B5) S4 sedan personalized car stickers. 2x Audi A4 (B6) AVANT RS4 Station Wagon personalized car stickers. 2x Audi A4 (B7) AVANT RS4 Station Wagon personalized car stickers. 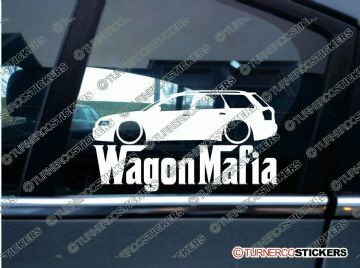 2x Audi A4 Station Wagon (B8 - Years 2008+) personalized car stickers. 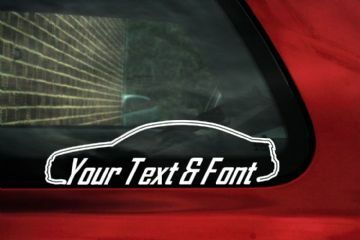 2x Audi A4 Sedan 4-Door (B8 - Years 2008+) personalized car stickers. 2x Audi A4 / S4 (B7) sedan personalized car stickers. 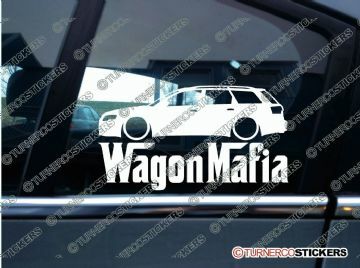 2x Audi A6 Station Wagon (C5 1997-2004) personalized car stickers. 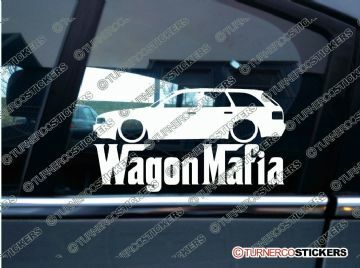 2x Audi A6 Station Wagon (C6 2004-2011) personalized car stickers. 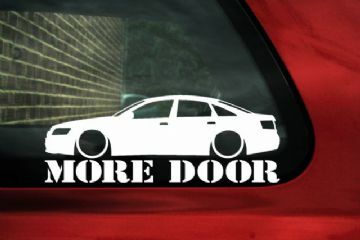 2x Audi A6 / S6 (C6) Sedan personalized car stickers. 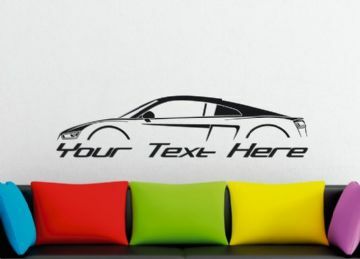 2x Audi A6 / S6 (C5) Sedan personalized car stickers. 2x Audi A3 / S3 (2003-2008) personalized car stickers. 2x Audi TT 8N (1999-2006) personalized car stickers. 2x Classic Audi UR Quattro (1980+) personalized car stickers. 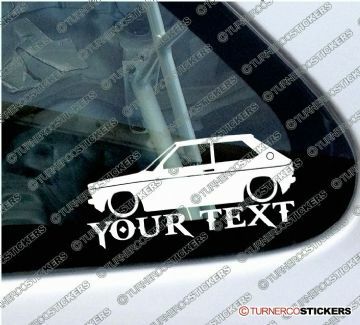 2x Lowered Audi 50 (1974-1978) personalized classic car silhouette stickers. 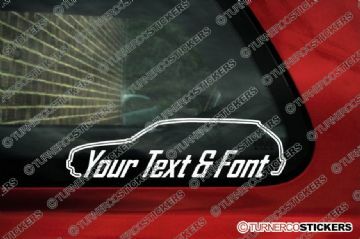 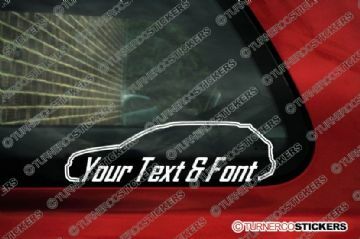 2x Lowered Audi 80 / 90 convertible personalized car silhouette stickers. 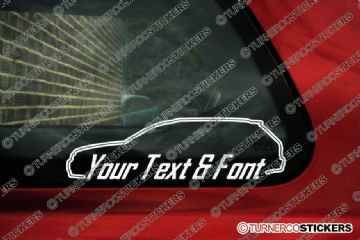 2x Lowered Audi 80 avant B3 (1986-1991) personalized car silhouette stickers. 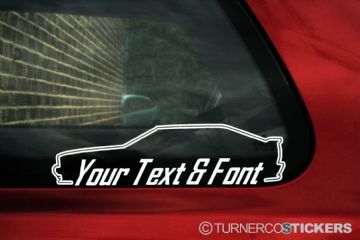 2x Lowered Audi 80 sedan 4-door B3 (1986-1991) personalized car silhouette stickers. 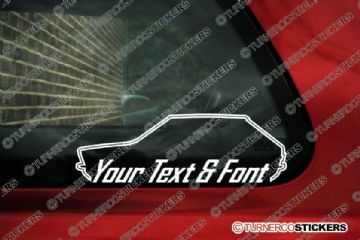 2x Lowered Audi A1 hatchback 3-door personalized car silhouette stickers. 2x Lowered Audi A3 (8L) TDI / 1.8T personalized car silhouette stickers. 2x Lowered Audi A4 (B5) S4 sedan personalized car silhouette stickers. 2x Lowered Audi A4 (B6) AVANT RS4 Station Wagon personalized car silhouette stickers. 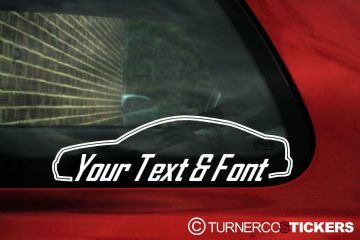 2x Lowered Audi A4 (B8) sedan / saloon personalized car silhouette stickers. 2x Lowered Audi A4 (B5) AVANT RS4 Station Wagon personalized car silhouette stickers. 2x Lowered Audi A4 (B7) AVANT RS4 Station Wagon personalized car silhouette stickers. 2x Lowered Audi A4 (B8) AVANT Station Wagon personalized car silhouette stickers. 2x Lowered Audi A4 / S4 (B7) sedan personalized car silhouette stickers. 2x Lowered Audi S3 / A3 (8P) 3-DOOR personalized car silhouette stickers. 2x Lowered Audi S3 / A3 (8P) 5-DOOR personalized car silhouette stickers. 2x Lowered Audi TT 1.8t quattro 8N (mk1) personalized car silhouette stickers. 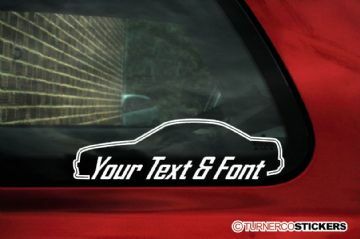 2x Lowered Classic Audi UR Quattro (1980+) personalized car silhouette stickers.